Our participants are high-performing women who want to make significant progress on their goals, get unstuck, and move fast. Time for all of us is at a premium…so spend dedicated time on YOUR goals each month to make significant progress on what matters most. We work hard on our businesses, we take care of our families, we volunteer for the school committee, help out with that inspiring non-profit, and on and on. At the end of the day, week, month, year…. oftentimes we hear that women feel like they’re just surviving instead of thriving. 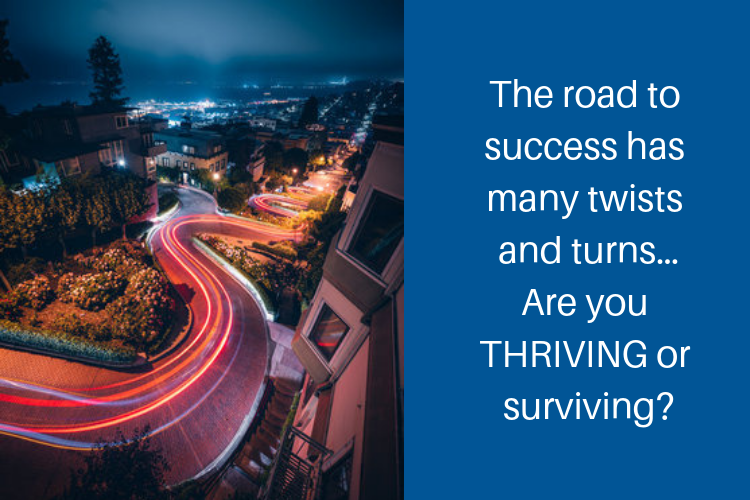 We help Women Thrive in our Mastermind groups. Exclusivity: Groups are comprised of 6-8 high-performing women who are carefully vetted and selected to stay together for the year (and beyond). Retreats: Our 2-day, in-person retreat (April 2019) in beautiful (warm & sunny) San Diego, CA. is all about shifting paradigms, renewal, creating your expansive vision for success, setting your BHAGS, and leaving with a plan to make it all happen. You won’t want to miss it! Our second retreat is virtual in September 2019. Significant progress: Past participants have made significant progress and achieved their goals. When you immerse yourself in an environment of high accountability with supportive, successful peers, you’ll be pushed, stretched, supported, and amazed at how far you will go. What’s special about this Mastermind Circle? It’s all high-performing women who are just like you. They are doing everything and at times feel like they are achieving nothing. You have found your tribe and you will fit in with ease. Confidential groups build trust and gain support with one another. The focus is on sharing and accountability. Our participants get comfortable with being open and vulnerable to move forward on their goals quickly. Sometimes there are tears… and many times there is laughter! Our Private Facebook Group is a great place to get your questions answered, share resources, celebrate successes, vent your frustrations, and be part of a community that always has your back. It’s all for one and one for all! This is an invite-only group. We will send you an application and set you up for your interview. The application/interview process is in place because everyone must be ready for their own transformation, as well as committed to the success of their peer group. Serious about your development? Our members share their big, hairy, audacious goals, accomplishments, and struggles. They are ready to be challenged to grow and show up as authentic and vulnerable. Ready to support the other members confidentially, constructively, and without judgment and build great relationships with other high strivers? Committed to showing up consistently and ready to work hard? Stop dreaming about what is possible and let’s make it happen together!